If you have pets in your home, you probably consider them part of your family and know that it’s important to keep them comfortable. After all, they live in your home, too, and there’s a good chance they spend more time there than you. Regularly bathing and grooming your pets has several benefits for you and your home. Making a habit of cleaning and grooming works as a great preventative measure, as it’s the first step to improving your home’s air quality before contaminants become a problem. By periodically spending a few minutes brushing your pet and disposing of the extra hair, you’ll notice a world of difference around your home. It will also mean you’ll have to sweep less frequently, and it even has benefits for your pets, keeping them lighter and more comfortable. A high efficiency particulate air (HEPA) filter is denser than regular air filters and removes significantly more pollutants and particles from the air in your home. This includes pet hair and pet dander, as well as other dust and debris. Top HEPA filters will remove 99.97 percent of particles down to 0.3 microns (1/25,000 of an inch) in diameter, according to the Environmental Protection Agency. Many residential heating and air conditioning systems may not be compatible with HEPA filters, as the filters are too dense for the system’s fans. This could have an adverse effect on your system. However, high efficiency (non-HEPA) filters with a MERV rating of 13 or higher are almost as effective as HEPA filters at removing particles from the air in your home. An air filter’s efficiency rating means very little if you don’t routinely change your filter. The frequency in which you should change your air filter depends on your lifestyle, but pet owners should change the air filter every one or two months. If you don’t change your filter routinely, it becomes clogged with dust, hair and dander, allowing very little air through. Failing to change your air filter regularly, especially if you’re a pet owner, could lead to lingering odors throughout your ducts and your home. It could also decrease the efficiency of your heating and cooling system, and even potentially cause major damage if it becomes too clogged. Our pets can’t communicate their preference for the temperature, but that doesn’t mean you shouldn’t consider their comfort when setting the thermostat. While it’s not uncommon, and actually encouraged, to set your AC a few degrees higher when you’re not at home, keep in mind that the temperature plays a big role for your pets’ health and comfort. If you’re a pet owner, the Alliance to Save Energy suggests keeping the thermostat around 78 degrees Fahrenheit in the summer, and 68 degrees Fahrenheit in the winter, while the house is empty (of humans). If your pet needs special accommodations due to their health, breed or lifestyle, you should speak with your veterinarian about where to set your thermostat while you’re away. 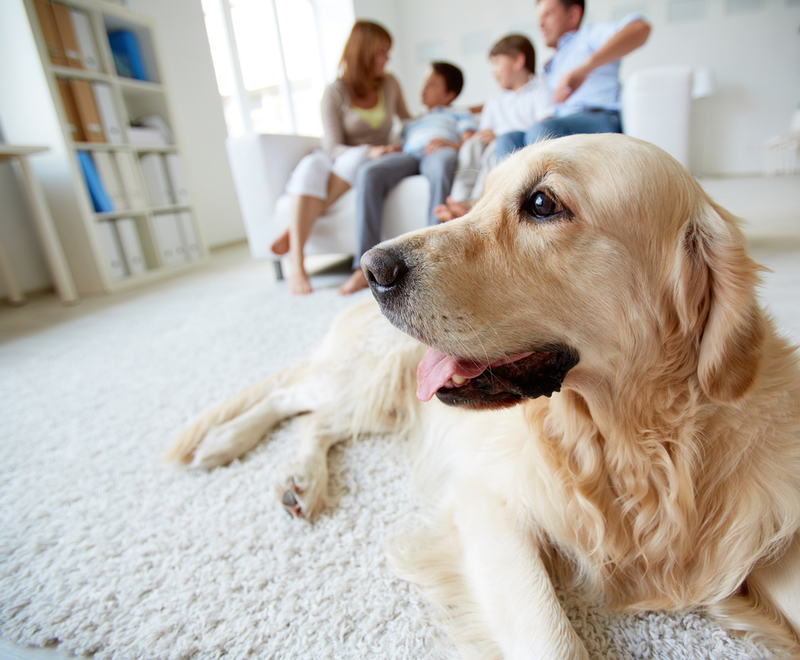 Even with the use of high-efficiency air filters, a lot of pet hair and dander can accumulate in a home’s ductwork over time. That’s why it’s recommended that pet owners schedule regular duct inspections and have their home’s ducts cleaned as needed. Ducts should be checked by a professional for the buildup of contaminants such as pet hair and dander, pollen, mold spores, dust and other debris. Ducts should also be inspected for holes, tears and leaks, especially at seams or other vulnerable areas. Ceiling fans may be great for you on a hot day, but they don’t benefit your pet. Because most dogs and cats are covered in fur, they don’t feel the effects of the ceiling fan the same way we do. By constantly running your ceiling fan when you’re not home, you’re wasting energy. You could also be circulating pet hair and dander throughout the air in your home. The Barineau family has been keeping Tallahassee and the Big Bend area cool since 1972. Today, Barineau Heating and Air Conditioning Inc. keeps Tallahassee comfortable with cutting-edge technology and reliable, honest customer service. Barineau Heating and Air repairs and installs heating and air systems based on your preferences as well as comfort, efficiency, sound and environmental impact. If you have any questions about the content in this blog post, contact Barineau Heating and Air at (850) 580-4029.